To help get you in the festive spirit we've partnered with Spar NI to give you the chance to WIN £1,000 CASH this week! The Q Crew will be visiting a SPAR or EUROSPAR store this week in Northern Ireland, giving one lucky listener the chance to win! Listen in to Q Breakfast with SPAR & EUROSPAR this Monday to Wednesday to find out which store the Q crew will be at with £1,000 cash! Find out more details click here. NI residents aged 18+. Normal exclusions apply. Henderson Wholesale Ltd., Hightown Avenue, Mallusk, Newtownabbey, BT36 4RT. The prize will be Henderson Wholesale Ltd.
Competition open to NI residents aged 18 or over, excluding employees and their immediate families The Henderson Group/Q Radio, Independent stores and their agents, or anyone professionally connected with this competition. Entries accepted at selected SPAR/EUROSPAR store. No purchase necessary. Entry to the competition is free. The competition will begin on the 17/12/2018 and will close on the 19/12/2018. No exceptions. All entries must be made directly by the person entering the promotion. Entries from third parties or agents will not be accepted. By entering the competition, all entrants warrant that they own the rights to their entry and that it is original to them, does not infringe the intellectual, privacy or publicity rights of any third party, has not been entered in or won previous competitions or awards and has not been previously published. Entrants agree to assign with full guarantee to the promoter and its affiliates all rights, title and interest in the competition entries so that promoter may use entries in any media without limitation and without additional review, compensation or approval from entrants or other parties including, but not limited to, the right to adapt, modify crop and amend the entry. Each winner agrees not to assert any moral rights in their entry. Once the winning phrase has been announced on the Q Breakfast show on Wednesday 19th December 2018, listeners have 15 minutes to get to the store & approach the Q Crew with the correct phrase. These listeners will be entered into the grand prize draw for a chance to win a £1,000 cheque. The grand prize draw will consist of: the name of any listener who has approached the Q Crew within the allocated 15-minute slot on Wednesday 19th December 2018. All names will be written down and placed into the draw. A winner will be randomly selected from the draw by the shop manager on Wednesday 19th December 2018. The decision is final. If you are the winner of the grand prize, please ensure your address details are correct and let us know if they change as the promoter can accept no responsibility for any correspondence lost or delayed in the mail or contact which cannot be made due to incorrect or out-of-date contact information. The Winner’s details will be collected by Q Crew and securely stored. They will send your [name, email address, delivery address and/or phone number to Henderson Wholesale Ltd to fulfil your prize in order to perform a contract with you or pursuant to legitimate interests. Prizes may take up to 28 working days to arrive. The winner’s details will be held on file until confirmation of prize issuance from The Henderson Group. The winners’ details will then be deleted/shredded thereafter. 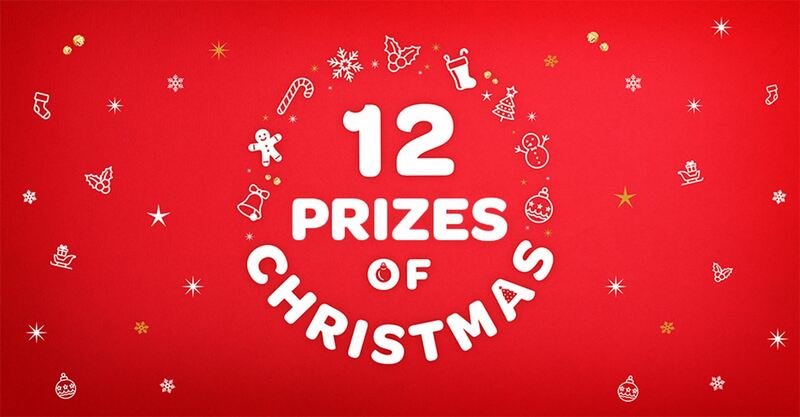 There is 1 prize in total to be won at a selected SPAR in Northern Ireland on Wednesday 19th December 2018. The winner may be required to take part in reasonable photographic shoots and take part in other publicity in connection with this promotion (for no further, or any, recompense), including, but not limited to, having their names and photographs featured on Henderson’s Facebook pages, websites and other social media platforms. Winners may be requested to give consent to The Henderson Group using information relating to such photographs or publicity unless by sending photographs it is clear that The Henderson Group may assume that the winner gives such consent. The winner may subsequently withdraw their consent to the photographs or publicity being used (but this will not affect the legality Henderson’s prior use of such photographs or publicity). If consent is not given, the photographs or publicity will not be taken or participated in. The Promoter reserves the right to vary, alter or terminate this promotion due to unforeseen circumstances beyond its reasonable control only where circumstances make this unavoidable. Neither the Promoter nor the promotional parties assume any responsibility or liability for any incorrect or inaccurate entry, or for any faulty or failed electronic data transmissions; inaccessibility or unavailability of the internet or the website or any combination thereof; regretfully, we cannot be held liable for system failures on the website. Neither can we be held responsible for the failure to fulfil the obligations of any third parties involved in this promotion, although we will always endeavour to minimise the effect to the participant of any such failure. The promoter accepts no responsibility for any cancellation, changes to the date or venue. No refunds or compensation will be given in the event of cancellation, delay or postponement but every effort will be made to reschedule. To the fullest extent permitted by law, the Promoter cannot accept responsibility for loss, injury or damage arising from winners taking a prize or attending a venue to use the prize, which they do at their own risk. The name and county of the winner will be available for 3 months after the closing date upon request. Send an SAE to promoter’s address entitled P8 Quaker Digital Competition 2018. By taking part in the competition, entrants are deemed to have read, understood and accepted all of these Terms and Conditions and agreed to be bound by them. This promotion is in no way sponsored, endorsed, administered by or associated with Facebook, or any other social media platform. You understand that you are providing your information to Henderson Group and not to Facebook. The decision of the promoter is final and binding and no correspondence shall be entered into.